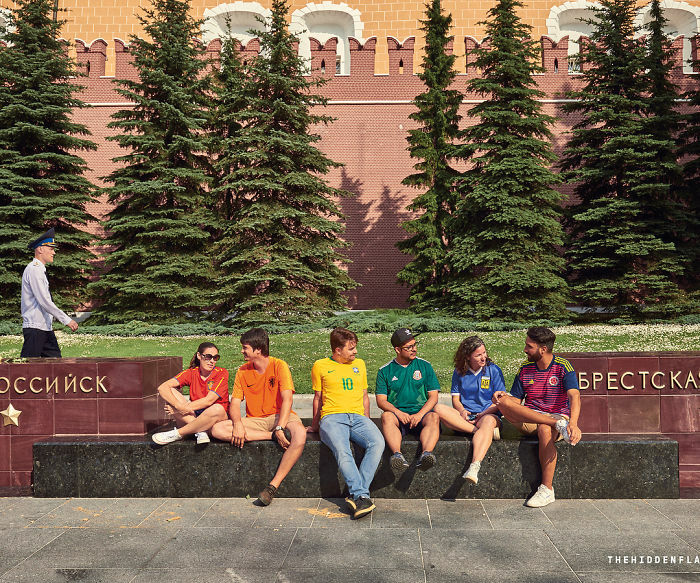 In Russia, homosexuality is technically decriminalized but people who form “non-traditional” relationships have it pretty hard there. 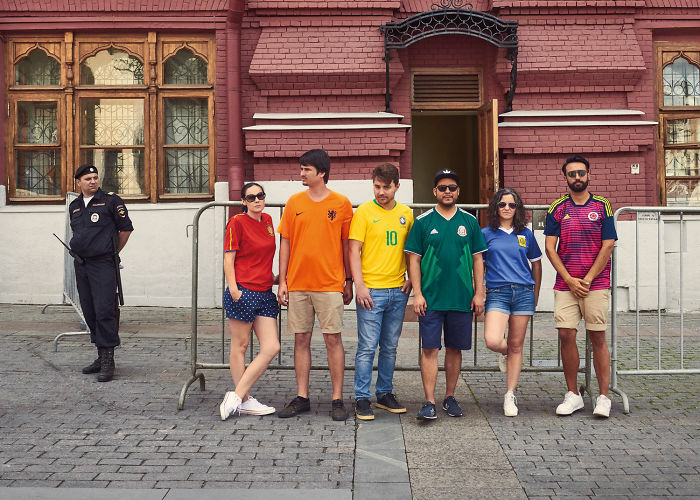 For example, in 2013 the country passed a law banning the spreading of “gay propaganda” among minors, which the European Court of Human Rights ruled was discriminatory and encouraged homophobia. 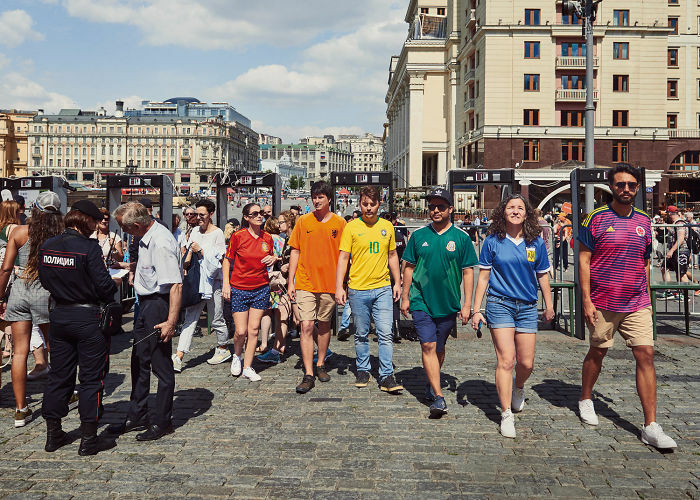 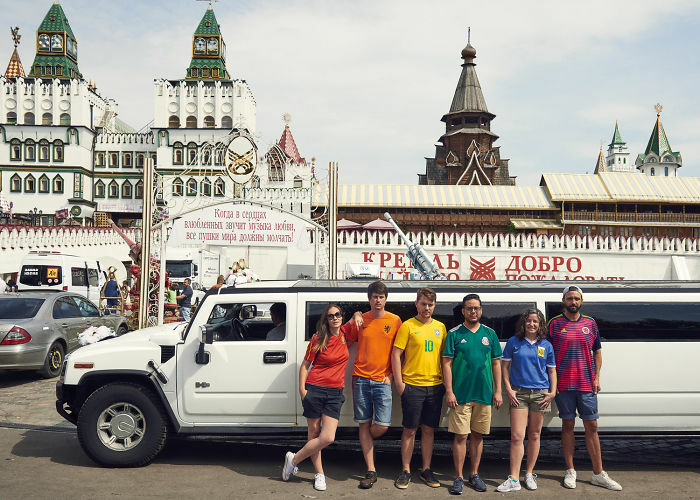 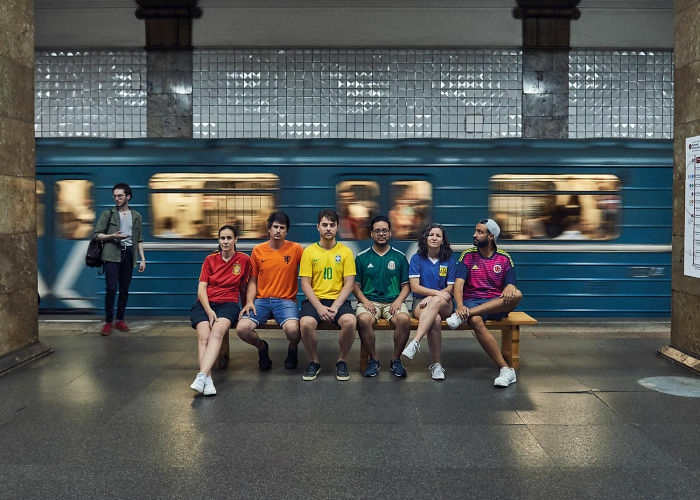 During the 2018 FIFA World Cup, however, a group of LGBT activists managed to undermine the law in a particularly genius way. 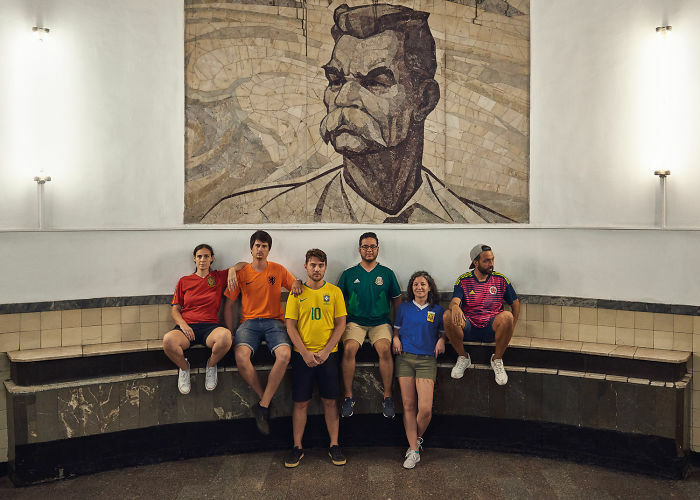 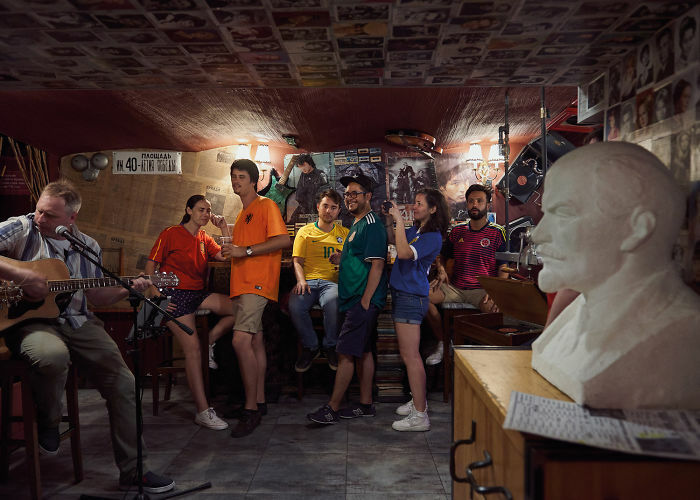 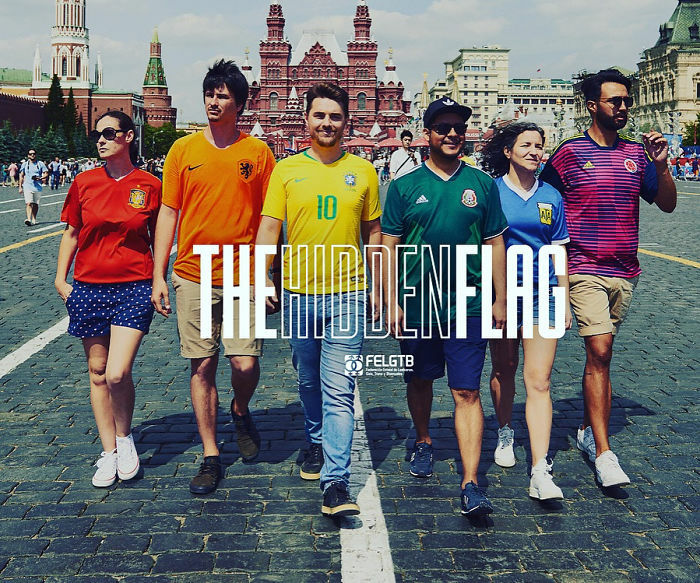 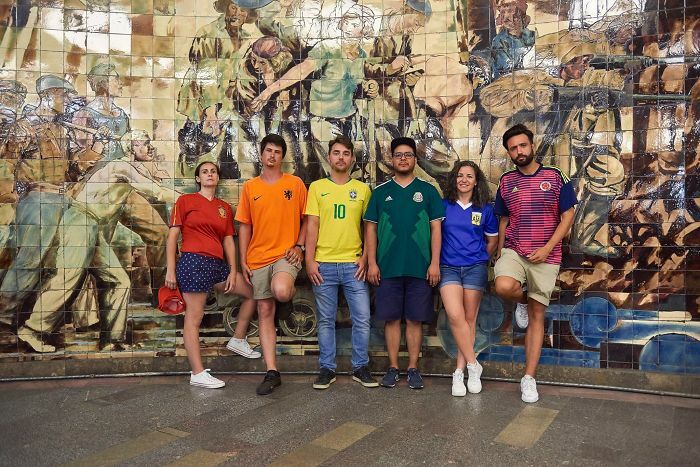 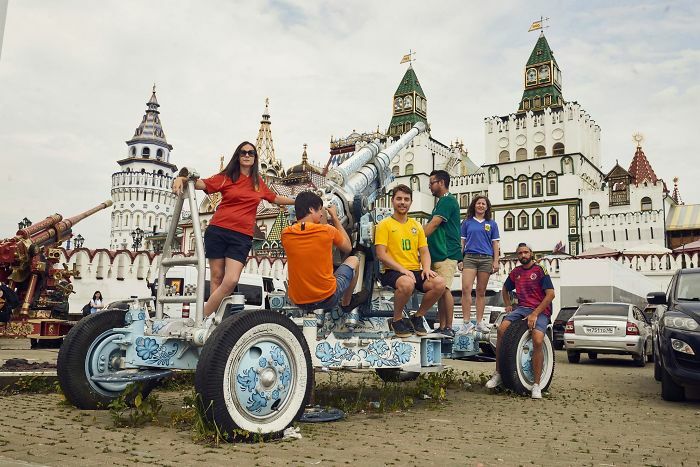 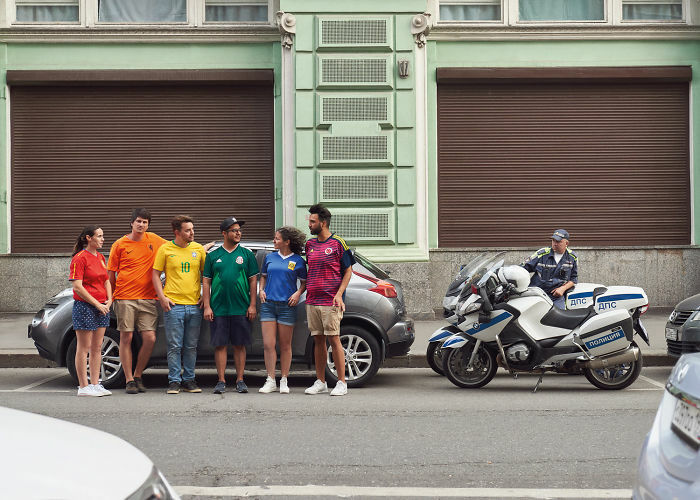 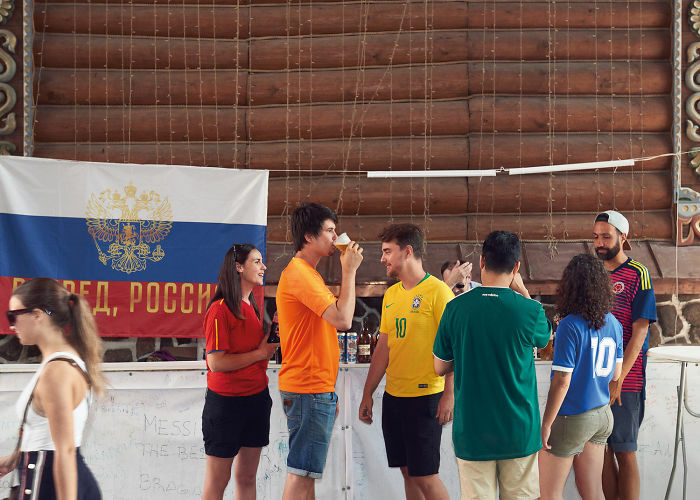 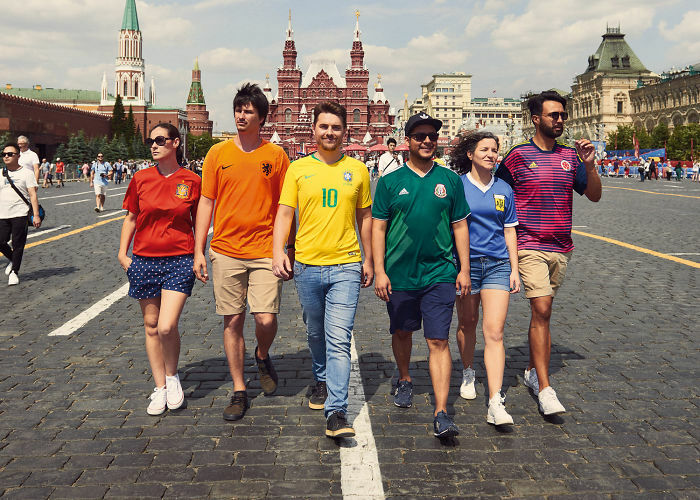 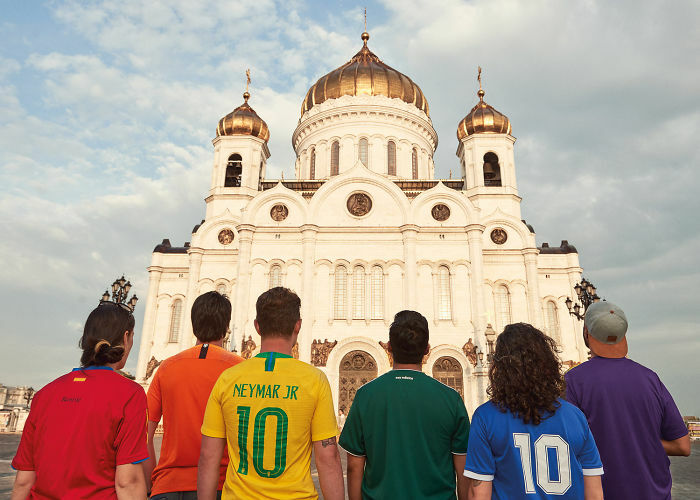 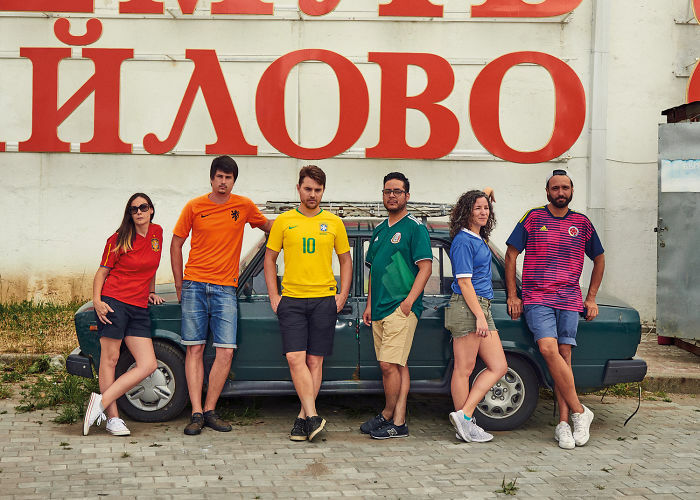 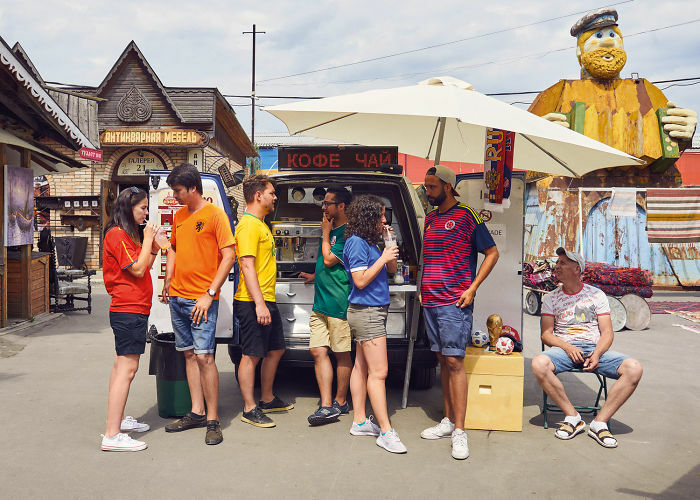 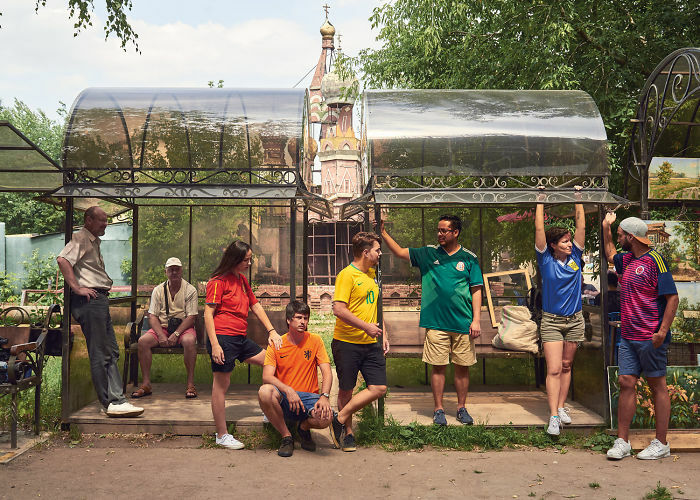 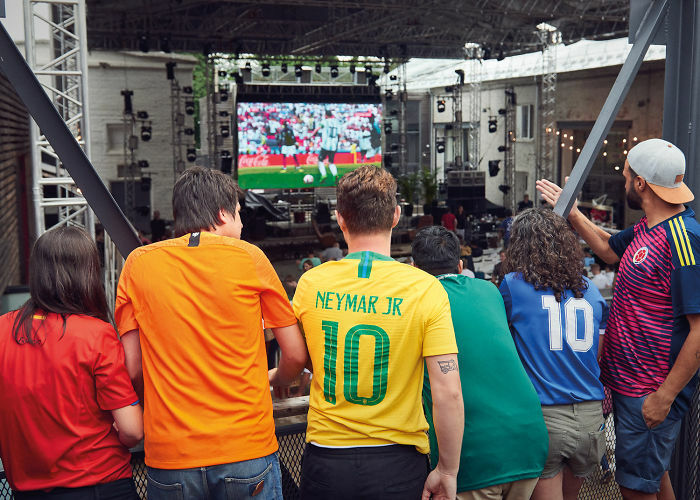 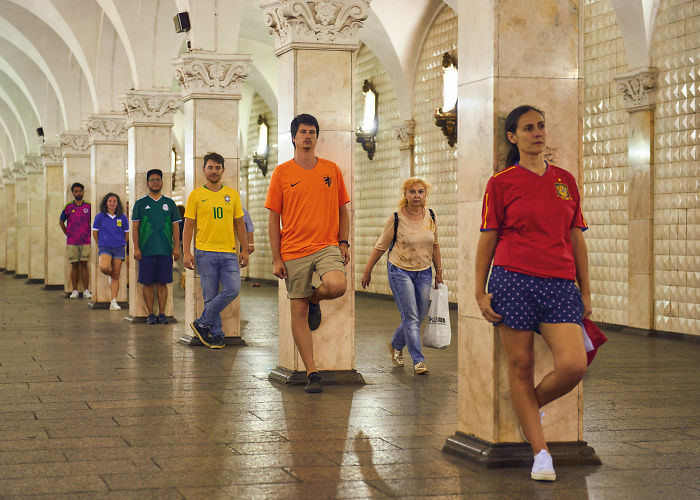 Six people from six countries (Spain, The Netherlands, Brazil, Mexico, Argentina, and Colombia) dressed in jerseys that together formed the iconic flag, and their photos instantly went viral all over the internet. 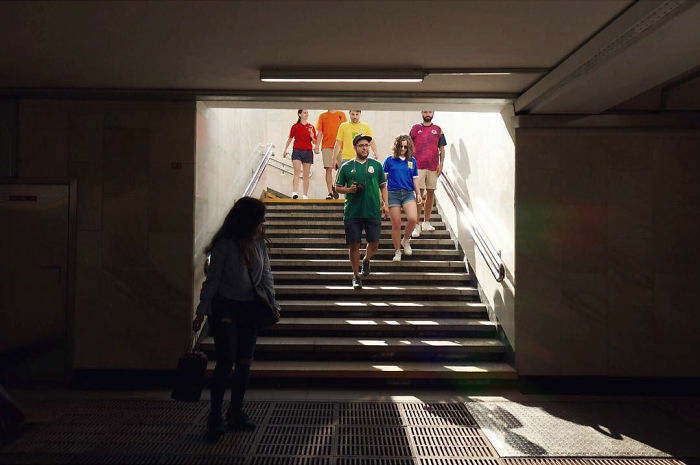 Scroll down to check out the images and tell us what you think about the initiative in the comments.